The sale of MakerBot to Stratasys, announced Wednesday, inspired a wide variety of commentary in the technology and Maker communities. Limor “Ladyada” Fried, founder of Adafruit Industries, which sells kits and parts for hardware electronics projects, was enthusiastic about the news. “The opportunities for makers to start a company, get funding, merge or get acquired are only limited by our desire and imaginations – it’s never been a better time to be a maker. What are you waiting for, go make it! Congrats to Bre, the entire team and the community of makers who have been part of the MakerBot adventure, a new chapter begins. Wolf also believes that MakerBot’s Thingiverse.com collection is the most valuable part of the MakerBot portfolio. “The 3D printing services and digital design marketplace is a much bigger potential opportunity in my mind than low-margin 3D printer market,” he wrote. Hod Lipson, associate professor of Mechanical & Aerospace Engineering and Computing & Information Science at Cornell University, and the co-author of “Fabricated: The New World of 3D Printing,” said he had “mixed feelings” about the deal. “On the one hand it’s very exciting because it’s sign of maturity in the field,” he said, comparing it to the 1980s, when many small personal computer companies began consolidating into standardized platforms. 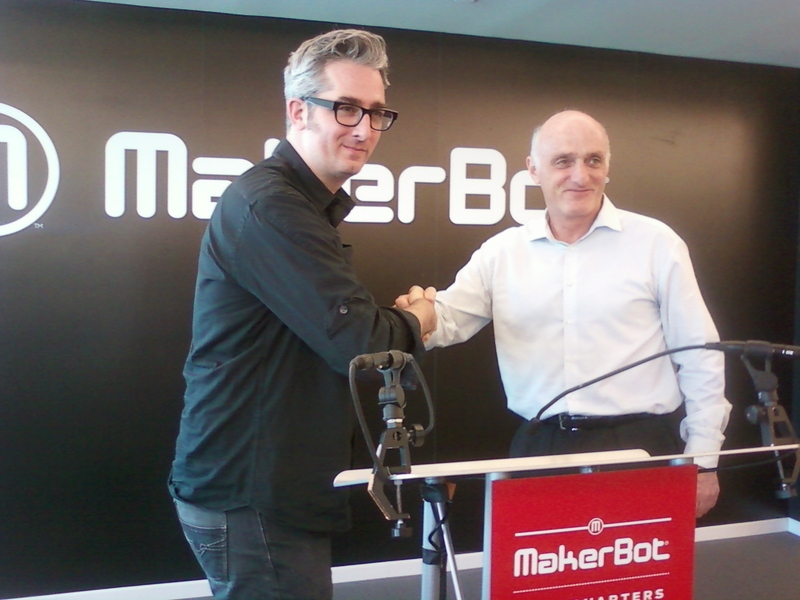 Adrian Bowyer, who invented the RepRap model that provided the foundation for MakerBot, said he was “obviously pleased” with the recent $400+ million purchase of MakerBot by Stratasys because he owns a small percentage of MakerBot, the company. MakerBot began as an open source RepRap project. Over the last few years, however, it has added proprietary technology. As a result, MakerBot has alienated some of its earliest advocates. “MakerBot not being open source, that never bothered me,” he said. His passion: creating manufacturing machines that have the ability to reproduce themselves. By that measure, MakerBot is no longer as interesting to him, despite its financial success. By contrast proprietary 3D printers, such as a MakerBot, can make RepRaps. But RepRap printers can’t make any of them.